17th July, Ewa sent the mail indicate that 180 000pcs of oval chocolate tins will be placed soon. We have occassion to repeat big action for Cherry Sweet tin. 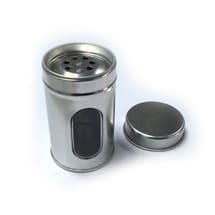 Please kindly let me know your best price and production time for 180 000 pcs of this tin. I appreciate your information asap. This Friday, the order really comes as expected as the best gift for my weekends and the best greeting to August! Please kindly send me Proforma Invoice for 180 000 pcs of Cherry Sweet. 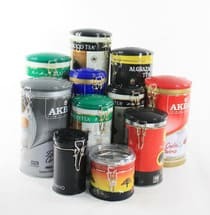 We will think on Monday how to match this tins with big tins so will send you our idea asap. Would like to receive PI for these tin to make payment so that you can order tin plate. Cherry sweet is a oval shape tin box with size 180x112x60mm( 7x4.4x2.36") for chocolate packing. It is with 3D emboss on its dome lid. 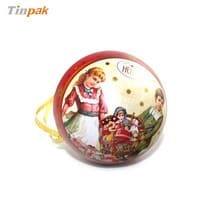 Ewa is Tinpak old customer for chocolate tin box packing. Every year, Tinpak will make more than 10 containers of chocolate of tin boxes for them. 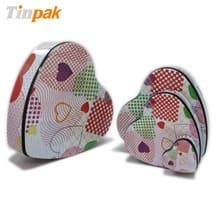 The last 2 containers of oval shape choclate tin and heart shape tins on still on the sea, now new order comes soon. 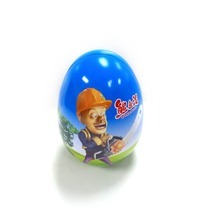 Ewa said it is very nice to cooperate with Tinpak, quality and delivery time are guaranteed. The professional service helps much for their new project. With more than 6 year's cooperation, Tinpak is the only tin box supplier for them now. Previous page：Return Tinpak for Tin Box JobNext page： Can you print 3D effect on the tin box? Information about "chocolate tin box "